"Join Starfleet they said. It'd be fun they said." Bring humor and whimsy to your outdoor space with the Star Trek Red Shirt Gnome Statue. 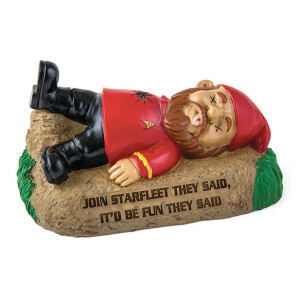 This gnome is great for any fan of Star Trek.